This piece was designed exclusively for the Casa Elena project by architects Efrem López and Adrián Jurado (Espai Rö). 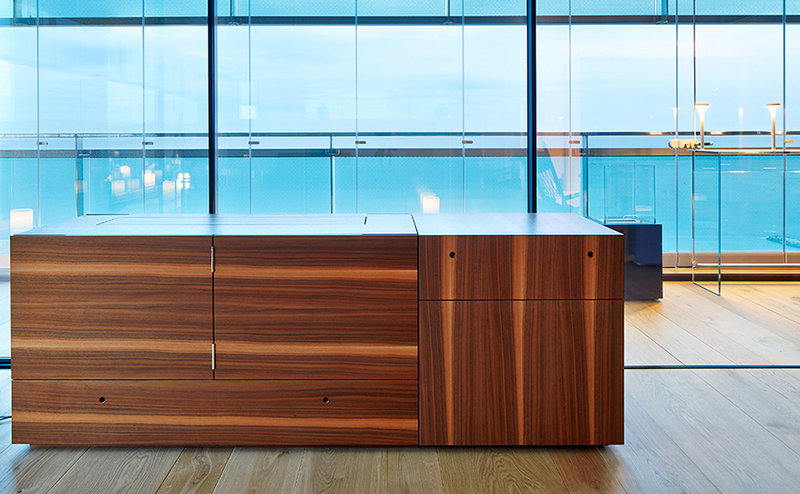 This piece of furniture was executed by the Swiss joinery workshop Röthlisberger in American walnut wood. 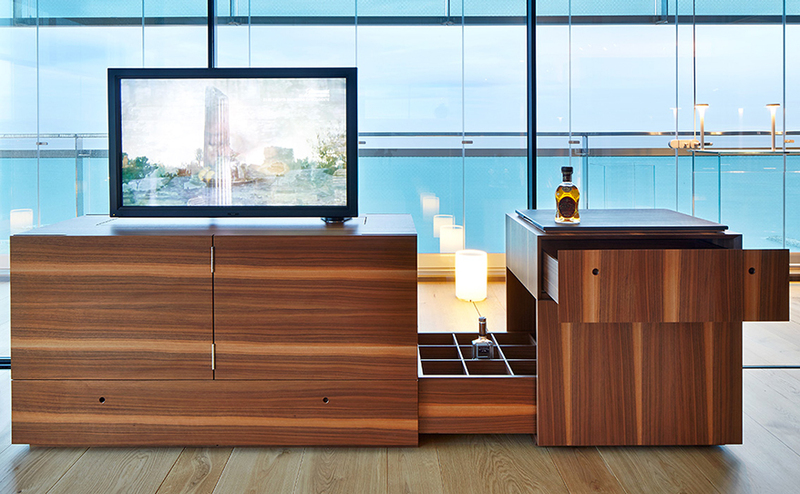 Besides serving as drinks cabinet, this unit has a TV set and stereo system which can be used by sliding one of its modules.